Think of it as an elevated college experience. Whether you live on campus or not, Drew gives you easy access to everything you need. Eberhardt is home to graduate and theology students, as well as a few undergraduate theme houses. 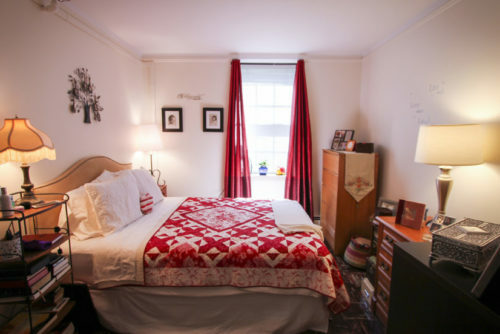 Its private kitchens, patios, etc help students create a comfortable home on campus. 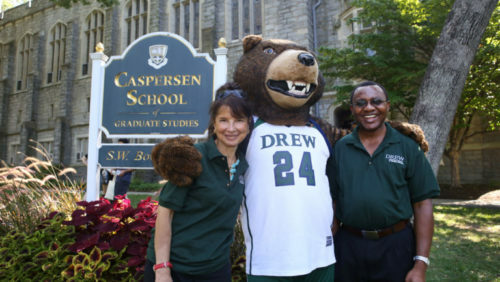 If there's one thing graduate life at Drew offers, it's connection with your professors and your peers. Drew's Graduate Student Association hosts events to provide social opportunities, academic activities and other ways for you to network with each other. Families with young children are encouraged to check out Drew's on-site child care center. The Acorn Academy is convenient, affordable and most importantly provides care with an emphasis on social, emotional and educational growth. Just up the street, you'll find downtown Madison, with its Food Channel-famous cafés, cute shops and music scene. Also located with a one-hour radius of Drew are the Great Swamp National Wildlife Refuge, the Jersey Shore, Meadowlands Sports Complex, Delaware Water Gap national Recreation Area and the ski resorts of the Pocono Mountains. You could easily never leave Drew's campus or its hometown of Madison and have plenty to do and see. 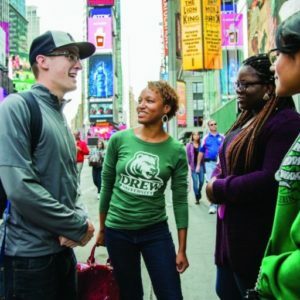 But you can also hop a train or bus into the Big Apple to do research, an internship or fellowship, network, or just explore world class museums, restaurants, sports teams and more.